Biotin Yeast Nutrient powder, 1 oz. 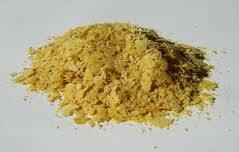 Yeast nutrient hulls that absorb undesirable components in wort or must to promote active, healthy fermentation. Biotin is Vitamin-B basted yeast nutrient. This is an all purpose nutrient but is primarily used for country wine, flower wines and fruit wines. Meads and wine grapes typically use other types of yeast nutrients, but beer brewers use this product too.